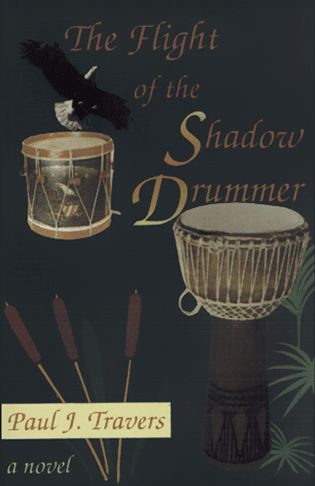 Publisher: Duncan & Duncan, Inc.
More than a tale about drums and drummers, ‘The Flight of the Shadow Drummer’ is the spiritual journey of every person, regardless of color or creed, who desires to live in peace and harmony. While the echoes of the past have faded into history, a new generation sounds the call for freedom. Watch the bombs bursting in the air from the ramparts at Fort McHenry as Francis Scott Key pens his famous poem. Walk with John Brown through the streets of Harper’s Ferry as he begins his slave rebellion. Stand among Union soldiers at Cemetery Ridge as the Confederates launch Pickett’s Charge. Join the adventure as Moses undertakes his incredible life’s journey from Ghana to Gettysburg, from houseboy to hero. Relive great moments in American history as Moses struggles to fulfill the legacy of the African drummer and free the spirit of his ancestors. Join him in a celebration of life and become a shadow drummer! Young (and older) readers will find The Flight of the Shadow Drummer absorbing–full of vivid descriptions and vibrant characters determined to be free. Baltimore and the Chesapeake Bay area are historically important backdrops for a resonant story.